Local news outlets in Muncie, Ind., are reporting that Ball State University has hired an astronomy professor who has previously been linked to supporting the idea of intelligent design, or the theory that the universe and all life was designed by an intelligent entity. This apparent hire proves controversial for the research university, as it is currently investigating Eric Hedin, an assistant physics professor from the same department at the school, who was accused in May by the Freedom From Religion Foundation of teaching intelligent design in his "Boundaries of Science" honors class. The Star Press, a local newspaper in Indiana, reported recently that BSU hired former Iowa State University professor Guillermo Gonzalez to teach introductory astronomy classes at the school beginning in August. Although both Gonzalez and the university are remaining mum on the reported hire, the university's spokesperson, Joan Todd, told The Chronicle of Higher Education that Gonzalez's "qualifications are in his cv (curriculum vitae)." The controversy surrounding Gonzalez began in 2007, when Iowa State University announced that it would not grant the professor, who taught physics and astronomy at the school, tenure due to poor academic performance. The school's president, Gregory Geoffroy, said in a statement that the university chose not to provide Dr. Gonzalez with tenure after they "specifically considered refereed publications, [Gonzalez's] level of success in attracting research funding and grants, the amount of telescope observing time he had been granted, the number of graduate students he had supervised, and most importantly, the overall evidence of future career promise in the field of astronomy." Although Gonzalez appealed his denial of tenure, the Iowa Board of Regents affirmed the denial in 2008. Gonzalez suggested, however, that he was denied tenure at the university because of his belief in intelligent design. The professor argued the existence of scientific evidence for intelligent design in his 2004 book The Privileged Planet: How Our Place in the Cosmos is Designed for Discovery along with theologian Jay W. Richards, and is also a senior fellow at the Discovery Institute, a Seattle-based think tank best known for its advocacy of intelligent design. Jerry Coyne, a biology professor at the University of Chicago and an outspoken critic of intelligent design who previously complained to the Freedom From Religion Foundation regarding BSU assistant professor Eric Hedin, told The Star Press that he believes it is a mistake for the university to hire Gonzalez after its recent controversy involving Hedin. John West, senior fellow of the Discovery Institute and colleague of Gonzalez, told the local paper that Coyne's negative comments regarding the hiring of Gonzalez are "outrageous," adding that Coyne is one of many atheists who belong to the "Darwin lobby." "They don't believe in academic freedom for anyone who disagrees with them, and they want to win the intellectual debate simply by silencing and intimidating any scholars who differ from them. In this case, Coyne is trying to destroy the careers of people in a discipline where he has no expertise whatsoever," West told The Star Press. Coyne reportedly alerted the Freedom From Religion Foundation of Hedin, an assistant professor at BSU's Physics and Astronomy Department who was accused of promoting a religious agenda in his honors "The Boundaries of Science" class because he allegedly incorporated works critiquing and supporting intelligent design into his course, including Gonzalez's Privileged Planet book. 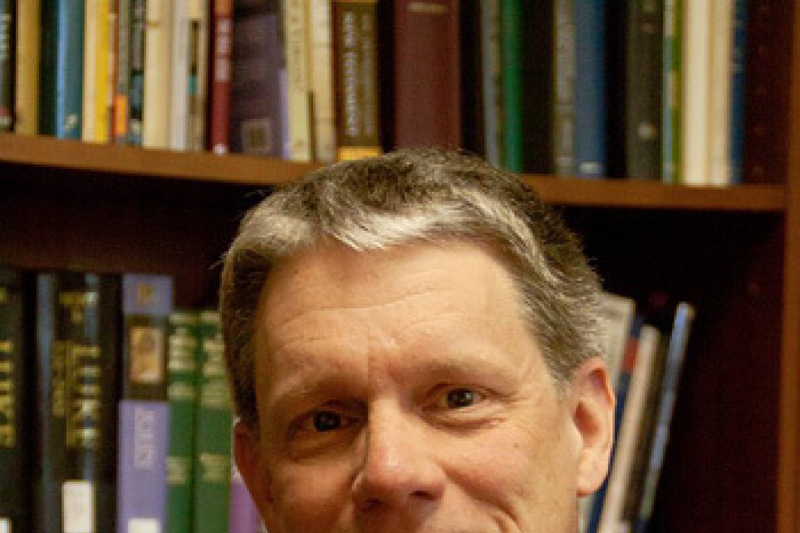 "It's my firm opinion that teaching this course at a state university not only violates the First Amendment, but cheats the students by subjecting them to religious proselytizing when they're trying to learn science," wrote Coyne in a blog post on the "Why Evolution is True" website, as previously reported by The Christian Post. The university launched an ongoing investigation into Hedin's classroom curriculum, and has yet to determine whether the professor can teach the class. West of the Discovery Institute told The Christian Post in early June that Hedin's situation was a matter of academic freedom, and hopes Ball State University will "be fair and courageous and stand up for Professor Hedin's rights." "Prof. Hedin is an outstanding professor who has published many peer-reviewed technical articles in his field," West told CP. "Contrary to published reports, there is absolutely no evidence that he teaches or even believes in 'creationism,' the idea that the earth was created just a few thousand years ago in six literal 24-hour days." West went on to say that some of the authors featured on Hedin's curriculum support intelligent design, but in no way was the professor pushing creationist Christian literature. "Some of the authors are supporters of intelligent design in biology. Others are staunch critics of intelligent design and defenders of Darwinian evolution," West told CP. "Questions about the evidence for design in the universe and the boundaries of science are perfectly legitimate topics for a university seminar." The Discovery Institute has also submitted to Ball State University faculty an Academic Freedom Petition which is signed by 7,000 petitioners encouraging the university to keep Hedin's class. Should the reports of Gonzalez's hiring prove true, the professor will begin teaching the introductory classes The Sun and Stars, as well as The Solar System, at the state university on Aug. 17. Gonzalez is currently a professor at Grove City College, a Christian school, in Grove City, Pa. He received his doctorate in astronomy in 1993 from the University of Washington.